Fresh off the fields, this. Another Awatere Valley wine. Brilliant pale gold. 14% alc. Nice fragrance, smells sweet and lifted, with notes of sweet apples and rock melon. Fresh on attack, with sweet ripe golden fruit flavours up front. Lots of flavour, a creamy mouthfeel. Citrus line through the mid palate, and a slightly bitter finish. A nice spice catch on the back of the throat. From one of my fav local producers. Brilliant gold colour. 14% alc. Aromatic with sweet pears, manuka honey, and golden delicious apples. Lovely. There were apples in the mouth also, and mandarin peel. 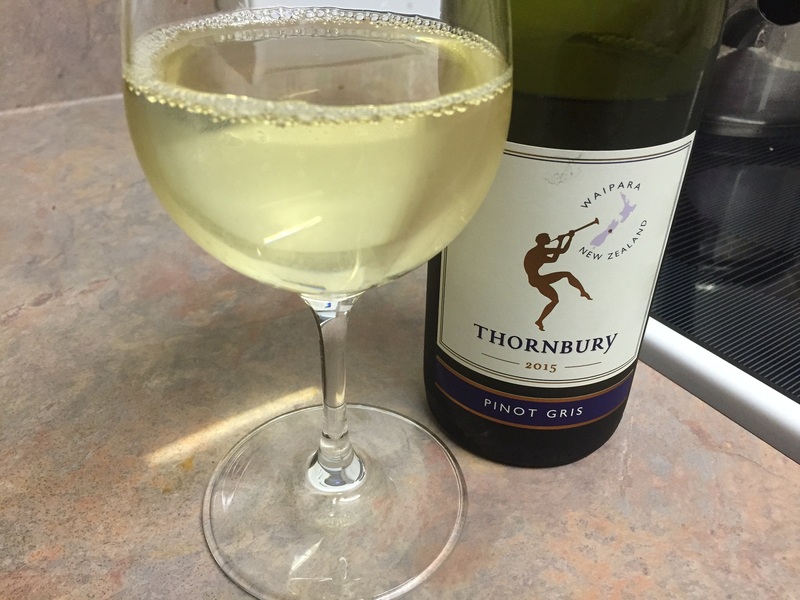 A lively and well-formed wine. Balanced acid and lightly itchy spice. Salty through the mid-palate, some pepper, with an intriguing oyster shell iodine finish. A good Gris, this. Two Saturdays ago L and I stayed in Martinborough for the weekend. On the recommendation of our friend LH I had booked dinner for us at Tirohana Estate on Puruatanga Road. The proprietors picked us up in their van which was mighty decent. The restaurant was in a beautiful white-gabled colonial house on the Estate. We enjoyed an amuse bouche, homemade pate, fish and lamb shanks, petit fours for after – so rich and good! Toby our Maitre’D was friendly, attentive and knowledgeable about the estate’s wines. 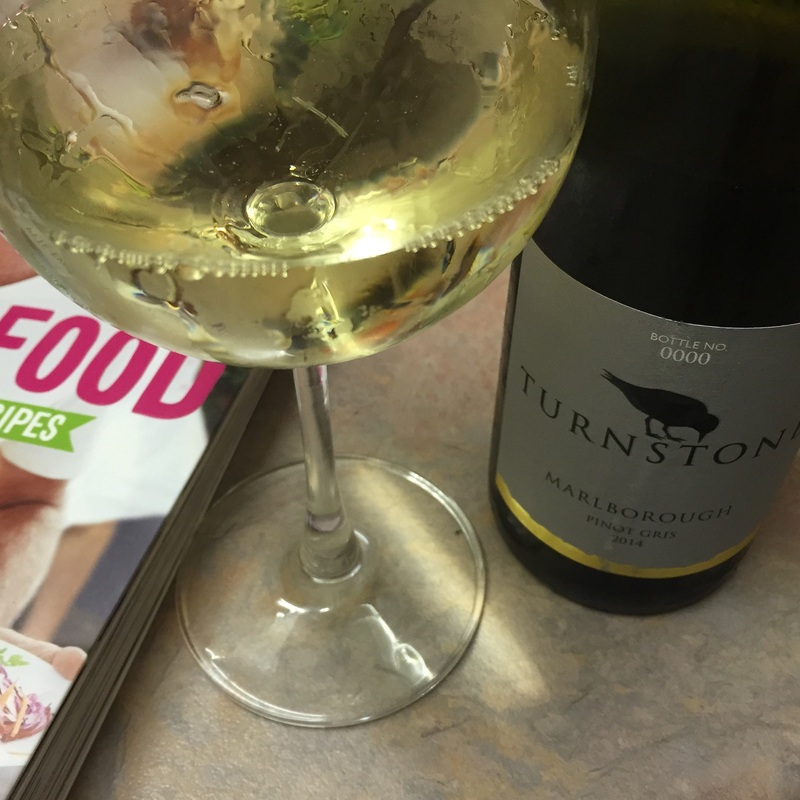 I had a glass of Tirohana Estate Sauvignon Blanc Martinborough 2014 to start, which showed apple, pear and petrol /aftershave. Flavours of mandarin peel and Gran Marnier, light, ripe & fleshy. Not a hint of grass or capsicum to be seen. Interesting. With my lamb I had a glass of Tirohana Estate Pinot Noir Martinborough 2013. The nose exhibited density, florality and spice. The palate was fine, with bright ripe red cherries, fine tannins, and a hottish finish. Good. The next morning, we wanted to burn off a big cooked breakfast, so we went out for a walk. We headed for a far-away hill track, but it turned out to be a bit further that we reckoned. We had walked for over an hour from our accommodation, and we hadn’t even got to the start of it. And then the morning’s meal caught me short and in trouble. I was about to touch cloth, but luckily we saw a winery open nearby for tastings. Two birds, one stone etc! We got a great welcome from the new owner at Stone Cutter Vineyard on Todds Road. 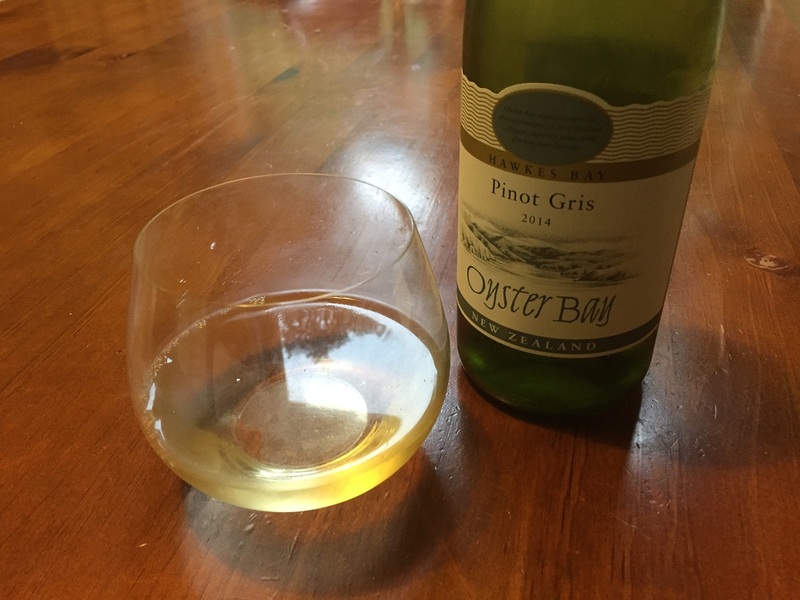 We tried their Stone Cutter Pinot Gris 2013 and Stone Cutter Syren Pinot Gris 2013, their Stone Cutter Pinot Noir 2013 and Stone Cutter Syren Pinot Noir 2013. L tried also their Stone Cutter 2014 Topaz – a sweet blend of Sauvignon Blanc and Gewurtztraminer – & liked & bought a bottle, along with their PG. We had lunch at Poppies Martinborough also on Puruatanga Rd later that afternoon, after the Mothers Day rush had eased (a little). Super-enthusiast winemaker Poppy and her viticulturist husband Shayne made us so very welcome. She led us through a tasting of their wines (they had sold out of their rose & chardonnay alas) – their age-worthy Sauvignon Blanc, fruity Pinot Gris and dusky Pinot Noir wines tasted delightful in the faded-euro elegance of their tasting room. 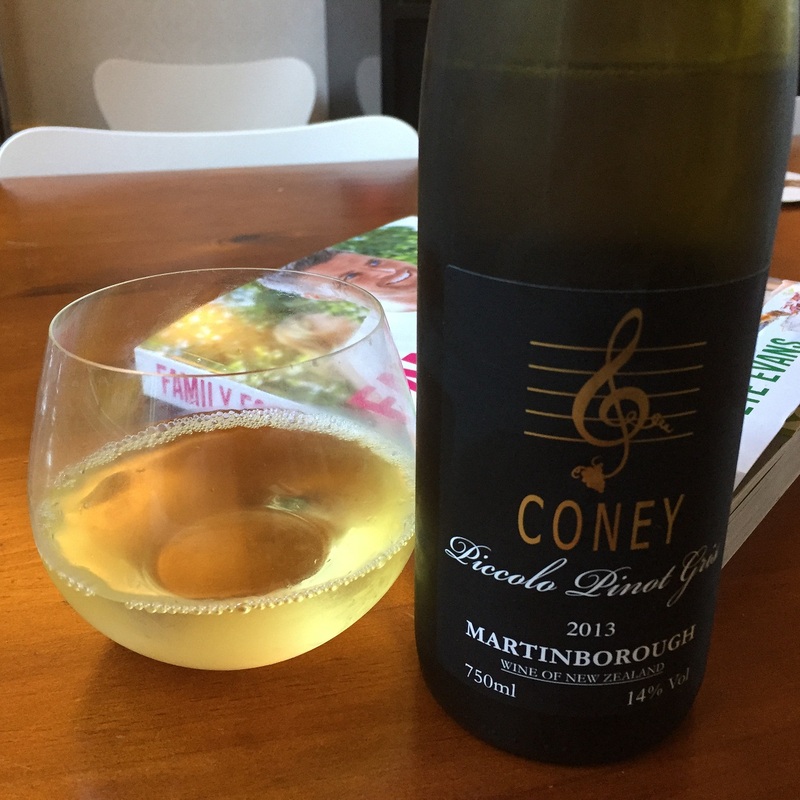 I selected the Poppies Martinborough Dry Riesling 2015 to have with the fantastically delicious vineyard platter served on the sunny terrace. Nose of apples. Very astringent and lean and fresh, lots of green apple, needs time to ease out of a current austere & angular phase. This too was selling out as we tasted. They are keen to secure additional grapes, as their business in barnstorming along. We finished our amble at one of Martinborough’s, and New Zealand’s, 1er cru vineyards – Ata Rangi, further along Puruatanga Road. A rustic looking tasting room, containing stunning wines. We tried their current fresh Sauvignon Blanc, ripe and simple Crimson Pinot Noir (second label), their wonderfully rich and age-worthy Celebre red blend, and the fragrant powerful Craighall Vineyard and elegant Petrie Vineyard Chardonnays. A fine way to end the afternoon! A regional HB blend. 13% alc. Pale straw. An off dry style in the mouth. Crisp pear flavours, slightly bitter. A light, approachable and agreeable fruit-full quaffer. 13.4% alc. Brilliant lemon gold yellow. Pear and orange on the nose, with hay barn straw. Very lifted and aromatic and inviting. Promises much..
..and delivers. Pear and crisp apple flavours. Sweet and long. I see honey, and slight bitterness and spice heat on the back palate. A seriously good and tasty PG!